The bar code also known as the "International Article Number", for this toy is 0746775193454. 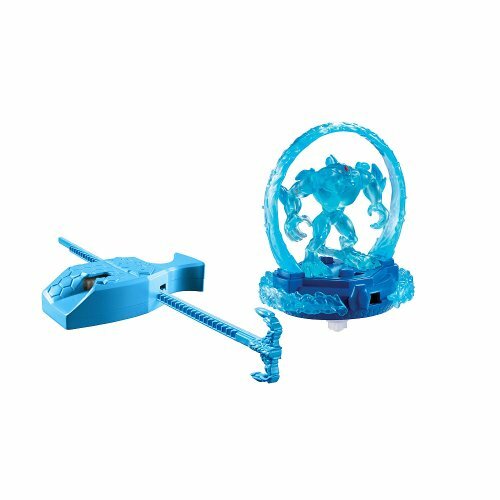 The Max Steel toy dimensions are 8.25" Height x 6.5" Length x 3.5" Width. Teenage Max and alien Steel discovered that together they make a formidable force, able to defend the planet from fearsome villains. Each sold separately, subject to availability. Includes figure, base and 2 energy blades. The action is high speed, and some customization is achievable as parts are removable and/or interchangeable. When the figures spin, the power blades catch light and produce a cool energy ring effect. Boys activate the spinning battle base using a rip cord mechanism. Boys can unlock their hero with this assortment of Turbo Fighters. 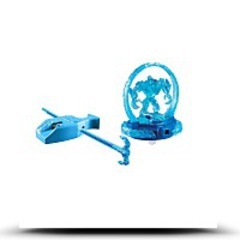 The figures, roughly two inches in size, battle head to head, attempting to hit their opponents' sweet spot - a trigger that, after several hits, will send the figure flying off of its base to indicate a clear winner.